Tyler Spooner, a Graduate of the Perth Founder Institute, is the co-founder and CEO of the Australian food tech startup Unocart. Unocart is an on-demand grocery marketplace, enabling delivery of fresh foods and household essentials through an easy-to-use app. Now, Unocart has released to the public the first version of their proprietary backend solution, called SmartCart: a real-time pricing algorithm that compares grocery prices across various supermarkets to offer suggested substitutions to consumers as they shop. SmartCart not only suggests the same products available elsewhere at better prices, but also suggests similar items, based on the users’ personal preferences. 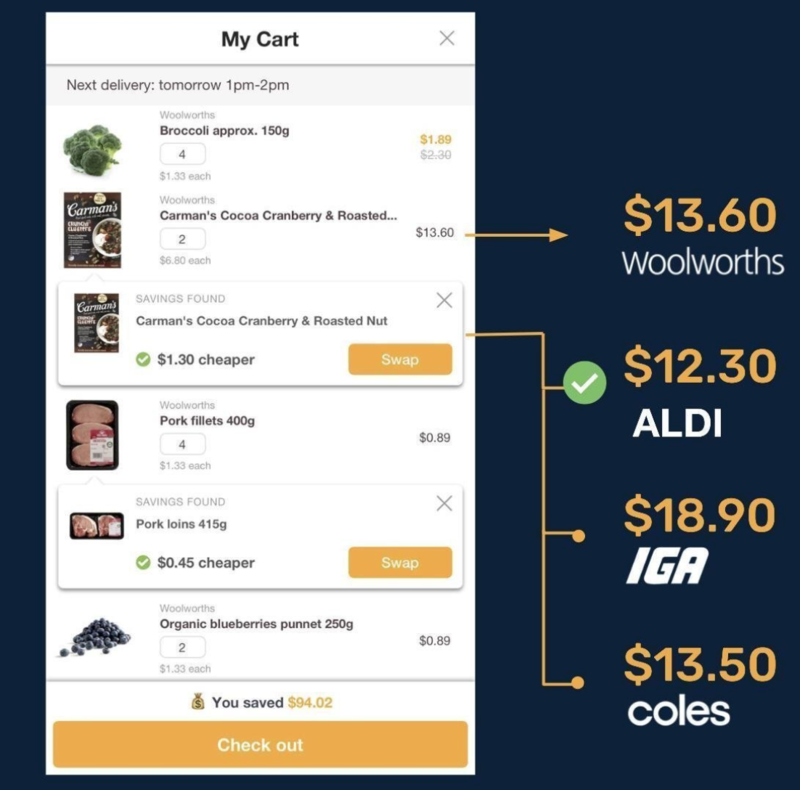 Through the complete Unocart website and mobile app, Perth customers can order their groceries online, which are sourced across various local Australian supermarkets including Coles, Woolworths, and Aldi. Then, the dedicated team of Unocart shoppers does the actual grocery shopping for their customers, paying careful attention to detail and hand-picking only the freshest produce from the supermarket, and delivering the order same-day to the customer’s door. After seeing a massive demand for our SmartCart technology from [Perth] users, who have not only been using the technology to shop online but also in the store, we have decided to release our app nationally [throughout Australia]. By opening up their real-time algorithmic SmartCart price comparison tool, Unocart will now reach users across the country, who will each now be able to glean the same savvy consumer savings insights when doing their own shopping in-store as they do when shopping with Unocart from home or work using the app or website. This will give users access to Unocart’s SmartCart in other cities across Australia. Users can shop themselves in store until we roll out our delivery services in their area. 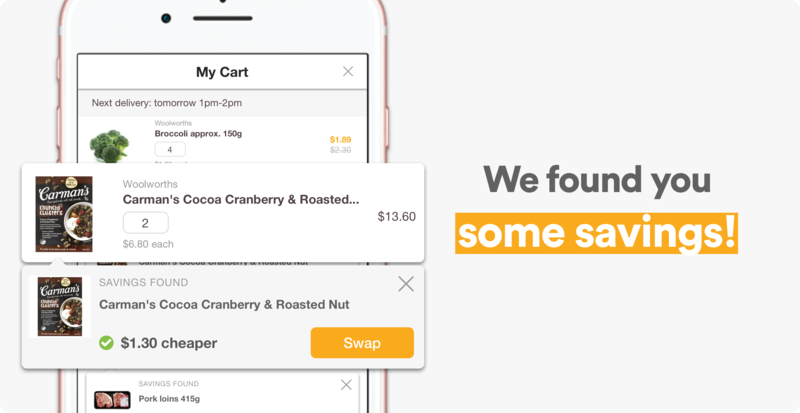 We will not only be helping users save money and time on their groceries, but also helping our SmartCart get smarter with every suggestion made to a user. I have always wanted to help people who are in the hard situation I faced growing up. And he is succeeding in that vision. Today, Unocart is focused on paying it forward through supporting Australian food rescue charities that work to make a tangible difference in people’s lives. In fact, for every order placed on Unocart.com over $50, customers help Unocart to donate the monetary equivalent of one meal to someone in need. These donations help food charities to rescue surplus from the food industry and distribute it to feed people in need. As of 2018, Unocart has helped feed more than 7,000+ people in need. By releasing their SmartCart technology throughout Australia, the company is paving their way to enter those localized markets with dedicated teams of Unocart shoppers, just like they offer to their customers in Perth. Spooner also has a vision for growing the social impact arm of his business in helping to feed the hungry. Often times, the biggest challenge in food charity isn’t getting the actual food donations themselves, but distributing fresh produce to people in need before it spoils. To that end, Unocart has plans to continue working with food rescue organizations, using their logistics know-how and computational systems to help distribute food more effectively to the people who need it most. Keep your eye on Unocart as they continue to grow their startup across Australia and beyond, amplifying their impact in real-time consumer savings while also directly helping to feed those in need.